Exotic Fruits – How Do I Use Them In My Cooking? There are some weird & wonderful fruits in the world, many that we rarely use in our day to day cooking but provide amazing health benefits. Here are some uncommon fruits that you might not have ever tried before, plus why they are so good for you and some simple ways to incorporate them into your cooking. How To Eat: Can be eaten whole like an apple, sliced and added into a salad or fruit salad, onto cereal, through nice cream and can even be grilled and added to dinners with vegetables. Slice persimmons into wedges & place into a cup. Top with yoghurt & drizzle with honey. Sprinkle with mint leaves and enjoy. 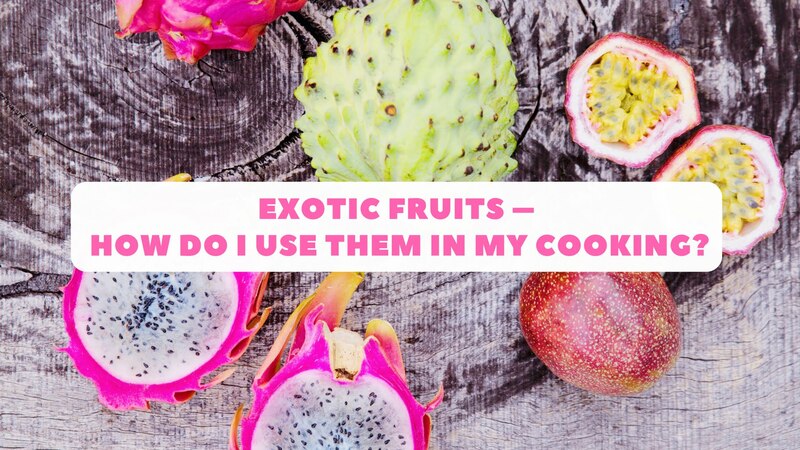 For my full list of exotic fruits, including my favourite Custard Apple, their health benefits & delicious ways to enjoy them like in my Pomegranate Salad, head to Cocobella’s blog. Sponsored Content: This article is proudly sponsored by Pure Cocobella. Why? Because I love Pure Cocobella l and only recommend companies/brands/products that I truly believe in and who share the same approach to health as I do. All opinions are my own and not influenced in any way.